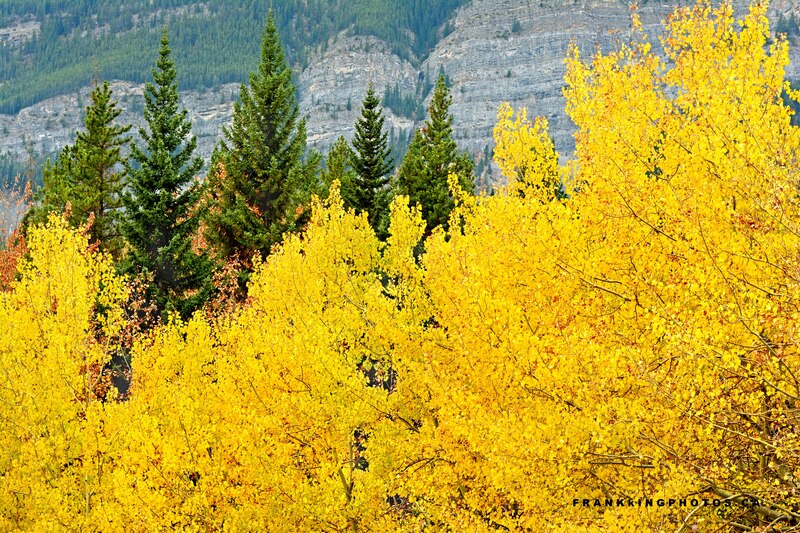 Besides the fluorescent yellow, what attracted me to this scene in the Canadian Rocky Mountains was the layering: yellow in the front, evergreens behind and backing it all up is the mountain wall. It was a cloudy day, so I was careful to exclude the distracting off-white sky. Nikon D7100, tripod, polarizing filter.